Janelle Dennis is an agent you can trust with one of the biggest investments of your life and someone you can feel confident in referring to your friends. 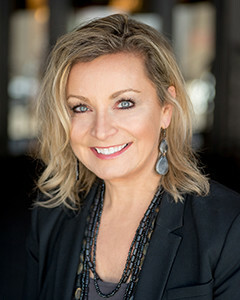 For each of the past 15 years, she has been one of the Chicago Association of Realtors' and @properties Top Producers, consistently ranked in the top 1-5% of all Chicago Realtors in sales volume. With more than $220 million and nearly 600 homes sold, she has succeeded in good markets and bad. Janelle outperformed the market average and the higher @properties average in all sales results. This means she sells homes faster for more money than most agents. Surpassing her client's expectations in marketing and sales abilities and a proven track record of success have been keys to her strong referral-based business. Her strengths include advertising, marketing & sales of new construction or rehab developments, selling individual property from luxury homes to loft condos, and helping buyers find the perfect new home or investment. Always expanding her expertise, she's achieved several professional designations, including Graduate Realtor Institute (GRI), which is held by less than 5% of Realtors by completing 90-hours of higher education covering real estate law, ethics, investments, marketing, buying, selling, new technologies and more. She is also a Certified Negotiation Expert (CNE), Accredited Buyers Representative (ABR), and Certified Luxury Home Marketing Specialist (CLHMS). Janelle's expertise and knowledge make her a very experienced partner for sellers, buyers, and developers. Living in Chicago for 25 years, Janelle understands the different personalities of the city's many neighborhoods and can help you navigate the Chicago real estate market, whether you are a native or new to the city. Neighborhoods she most likely is working in right now with buyers or sellers include Lakeview, Lincoln Park, Old Town, River North, Ukranian Village, Wicker Park, Bucktown, Printers Row, West and South Loop, Roscoe Village, Ravenswood, Lincoln Square and Edgewater. Her clients range from first time buyers to those seeking million dollar single family homes and investors seeking multi-unit buildings. Prior to joining @properties, Janelle achieved a successful, 15-year career in marketing and advertising, working with top-ranked ad agencies, including FCB, BBDO, and Y&R, on leading national brands like Kraft, SC Johnson, Wrigley's Chewing Gum, John Deere, Norwegian Cruise Line and more. She is a graduate of Kansas State University with a Bachelor Degree in Business - Marketing and a minor in Advertising. She lives in the Lakeview neighborhood and, when not working, enjoys hearing live music, going to local festivals and professional sporting events, and traveling. "Janelle Dennis exceeded our expectations by getting us a beautiful home for a great value and making the purchase of our first home a positive and smooth experience. My husband and I are naturally skeptical and have high expectations. We were concerned about finding a realtor that we could trust as well as execute the process without any hiccups. We reached out to Janelle after several of our friends highly recommended her. We definitely made the right choice. As first time homebuyers we were clueless about the process, but Janelle helped guide us from beginning to end, making it much more digestible. Janelle is a seasoned professional that knows how to maneuver through all aspects of the Chicago real estate process. Janelle was extremely prompt and responsive, making her self-available for emails and phone calls including late night, weekends, and holidays. Janelle fought hard for our interests and got us a great deal on our home, getting well below asking price. She was meticulous in her execution and made solid arguments resulting in a great outcome.